So, since February I've been hiding myself away, working with my new band, who I can now reveal as... The Lost Cavalry. So far, there's four of us, and the nice thing is that they're all friends who I've been in band with before - Nick from my uni band 'Amber', Oliver from Xup and Dave from my first ever band at school. I'm playing mainly guitar, uke and concertina and most importantly - I'm singing too. Check it out! 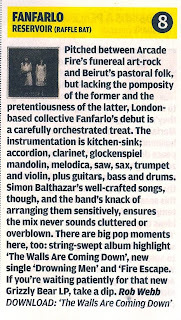 NME only went and gave our album 8/10... quite right too I say. 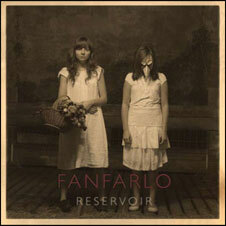 The Fanfarlo album 'Reservoir' is now available both on CD and iTunes... featuring the creative stylings of yours truely on lead guitar. Buy buy buy!